The final route, drivers, and stop-offs for next week’s Forage Aid tractor run have been confirmed. Young Farmers from Somerset, Gloucestershire, Herefordshire and Shropshire will all take turns in driving part of the run and helping pick up donations en route. The tractor run marks a year since the Somerset levels flooding, that devastated so many farms. It will kick off at Sedgemoor livestock market at 10:00am on Monday 9th February. Ed Ford, chairman of Essex Young Farmers and one of the key players in setting up Forage Aid, will be driving through Gloucestershire and Herefordshire. 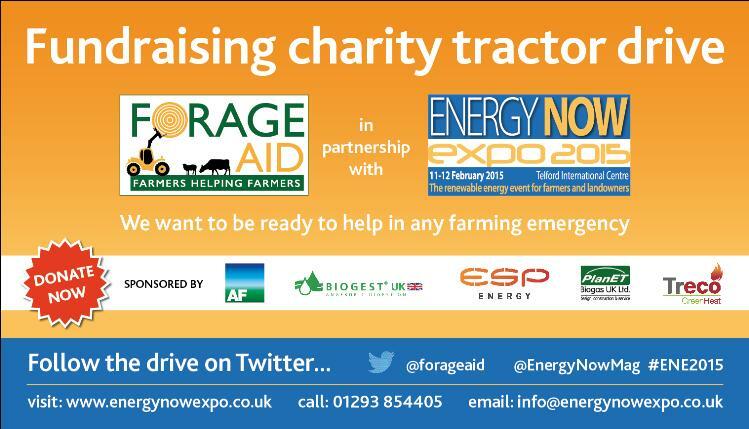 On Wednesday 11th February, at 11.00 am, the tractor and trailer will be driven into the Energy Now Expo, where a cheque for a whopping £15,000 will be presented to Ed, along with James Winslade, whose farm was badly affected by the floods and Andrew Ward, founder of Forage Aid. Young Farmers played a pivotal role during the flooding last year and were keen to get involved once again. 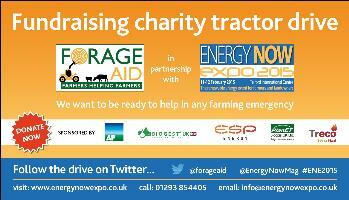 To register for the Energy Now Expo, and see the tractor driving in on the 11th February next week, visit www.energynowexpo.co.uk or call 01293 854405. Press can attend the Expo free of charge. Click here for further information about the route of the tractor run. The experience of long-serving staff combined with the enthusiasm of new starters helped to make this year's NFYFC Staff Conference a great success. Staff with over 20 years' experience working with Young Farmers joined forces with staff who had only been with the Federation for a matter of weeks. Held at the Billesley Manor Hotel in Stratford-upon-Avon, the aim of the Conference was for all county and NFYFC staff to get together and share best practices and pick up some hints and tips to take back to their respective counties. 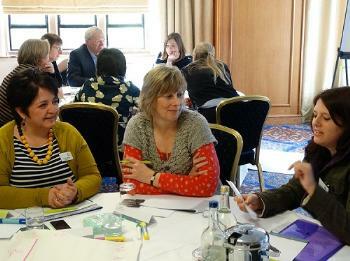 The delegates were given the opportunity to learn new ideas and pick up advice from NFYFC staff. On the first day of the Conference, they were given an overview of how the Federation had performed over the last 12 months and how they can make the most out of social media. They were then divided into workshops where they could pick up new skills, ranging from setting up competitions to bid writing for sponsors. The second day saw presentations from Glyn Smith, operations manager at HOPS Labour Solutions, and Ken Norman from Bretherton's Solicitors, who gave a talk about keeping motivated. The conference finished with the delegates learning more about competitions, including Just A Minute and Cake Stockjudging. 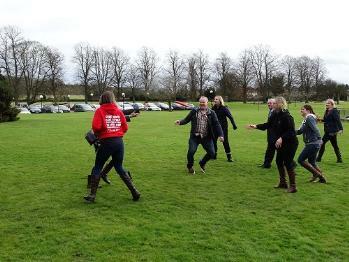 Despite the action-packed event, there was still time for some of the staff to try their hand at Ultimate Frisbee, (pictured right) which will be included in the 2015/16 competitions programme. Julia Taylor, county organiser at Staffordshire YFC, said: "It was a great couple of days to catch up with old faces and meet the many new members of staff working around the County. With so much going on in the world of NFYFC and back in our own counties, it is always good to bring everyone together and see what challenges and opportunities lie ahead for our members”.